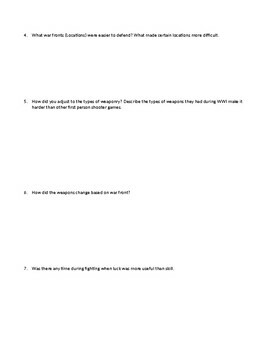 This a simple extra credit handout for students who have played Battlefield 1, a new video game about World War I. 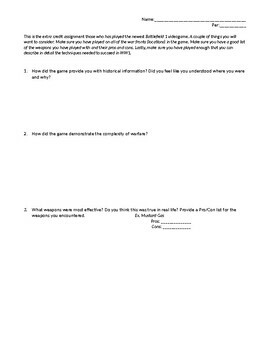 This pairs nicely with a WWI unit as it asks students to evaluate their experience with WWI battlefronts and weapons. Moreover, it gets videogamers excited about their knowledge of World Conflicts.